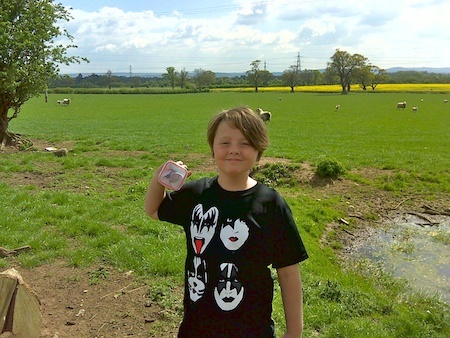 Nine new caches came out in an occasional series near Gnosall the other day. Mrs Bolas Heathens had to drop Freya off in Stafford this morning so Isaac went with her to see if they could find the caches on the way home. They managed 4 finds, 4 DNF’s and 1 did not try (they ran out of time!). Speaking to Allun from the Shropshire Seekers, who had had better luck than us, 3 of them had co-ords about 60ft out and 1 he could not find either. We thus decided to have a joint effort at the one we’d both DNF’d this evening as it was still up for a FTF. On the way we drove round and cleared up all our DNF’s from earlier and I took some co-ords readings for the cache owner. The cache that was still up for FTF turned out to be an easy find once we’d significantly expanded our search radius. You guessed it, the co-ords were just over 60ft out! It was a Bank Holiday on Monday and we’d been invited round to dinner at the in-laws in Blymhill so stopped decided to go the ‘scenic’ route and take in the new cache just south of Gnosall that is an extension of the Special Forces series. Needless to say it was a very quick find down a narrow lane not too far from the Shropshire Union Canal. Both the children spotted the cache as we pulled up opposite. The hide itself was a really nice one and probably the best of the series so far :-). 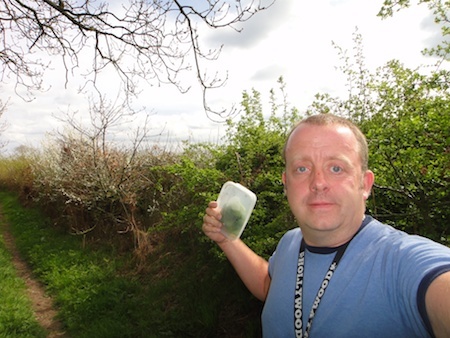 As it was a Bank Holiday on Monday we decided to go out and check on two of the caches in our Behind Enemy Lines series that looked to be missing. We took some spare caches just in case they were missing. On the way to the first one at Montford Bridge we stopped off for a quick cache at an underground bunker and part of a follow on series (by another cacher!) from our Behind Enemy Lines series. A nice quick find here. 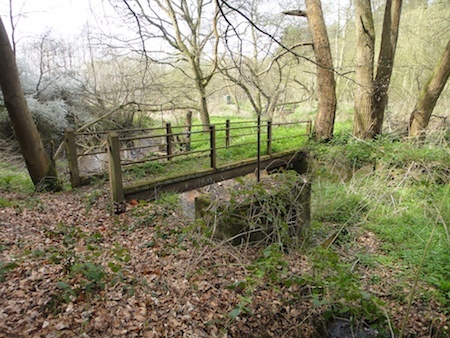 Our Montford Bridge cache is in some woods near to the old WW2 airfield and the cache was definitely missing. We had a good scout round the woods for a better hiding place and settled on one place which should work well. With the new co-ords taken we set off for the next caches of the afternoon. 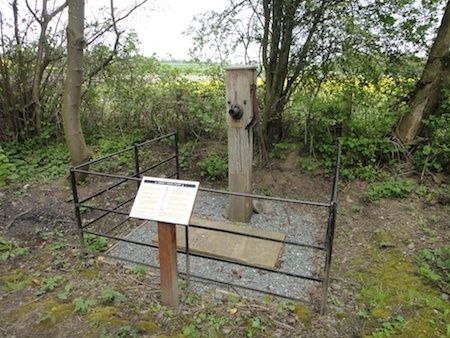 The next two caches we found are in an occasional series based around old wells and water pumps in the more remote parts of North Shropshire. Both of them were very easy finds. Last on our list was our Behind Enemy Lines: Peplow cache, which someone had emailed me about, saying it was missing. The cache used to be under this HUGE log and someone had taken a chainsaw to the log and cut big pieces off it. Needless to say they had disturbed the log at the same time and it was sat right on top of the cache, meaning you could not get the logbook out. We opted to place a new cache a short distance away in a location which hopefully won’t get disturbed. Once we got home we changed both caches pages and marked them as live again. Just after dinner yet another new cache in Gnosall came out so I arranged to go for the FTF with Allun from the Shropshire Seekers again. The cache was a quick find in the first place we looked and we were FTF again :-). 2 FTF’s, 1 DNF and then 1 FTF! The cache we DNF'd is in this picture somewhere. Can you spot it? 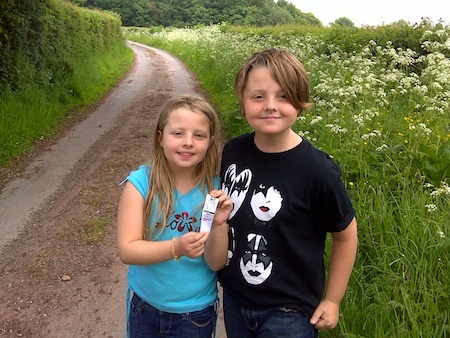 Yesterday afternoon 3 more caches in an ever expending series around the Gnosall area came out. I’d been out in Stafford most of the morning so needed to get my head down and catch up with work so did not dash out to find them (it was raining as well ;-)). By mid-evening they still had not been found, so I raised Allun from the Shropshire Seekers on MSN to see if he fancied a trip out to look for them. Much more interesting than watching the Political Debate on BBC1 too ;-). Needless to say we were both on our way to Gnosall very quickly. The second cache was a short walk over a field and into some woods. We soon realised the co-ords were a bit off as the lowest they would go was 35ft, with the GPSr’s pointing into an (obviously) private field. To add to our woes it was starting to go dark and there was no cache size or hint on the cache page. This was never going to be easy! Needless to say we checked everywhere and could not spot the cache so gave up and moved on to the third new cache and had a quick find and another FTF. On the way back we returned for a second look at the cache we could not find and still could not spot it. When I got home I emailed the cache owner to check we were in the right kind of area – we were. 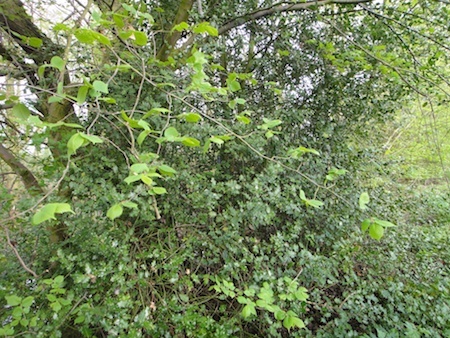 I thus returned this morning and could not believe it when I spotted the cache in the foilage as I walked up to the area where the distance to go minimised. How the heck we missed it last night in the dark as we’d been within 1.5ft of it last night, but looking at the obvious tree in the other direction to the cache! That’s the third of three FTF’s :-). I was working away today, trying to catch up with things after our extended holiday in Florida last week and spotted 5 new caches had been published. 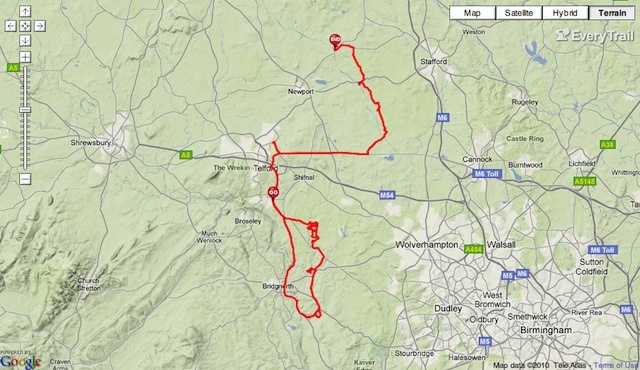 3 were near Gnosall and then 2 were near Whitchurch. I was too busy to dash right out for them but after I’d cleared up a few things I though I’d give them a go. 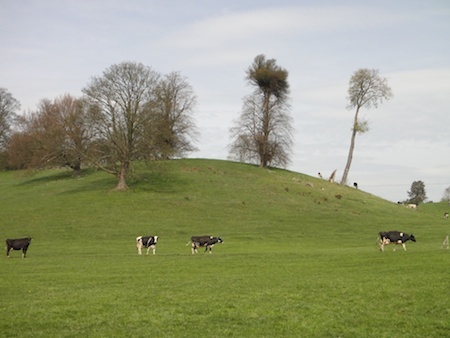 The first one was down a very remote lane near Gnosall and I thought I might manage a FTF. It was not to be as the Nozi Parkers had beaten me by 15 minutes. Undeterred I set off for the second one, knowing they may still be doing it as it’s a 0.6 mile walk each way and they would not have had time to walk there and back yet. Needless to say I was right and bumped into Angela on her way back from the cache. She walked back with me to watch me find it before giving me a lift in her car back down the bridleway to where I’d parked. We then set off in convoy for the third cache. We could not work out how to get to this one so as the coast was clear we risked skirting round a field and then over a fence to GZ. After that it was an easy find and a Joint FTF to boot :-). I said my goodbye’s to Angela and headed off to Whitchurch to try for the other two FTF’s. 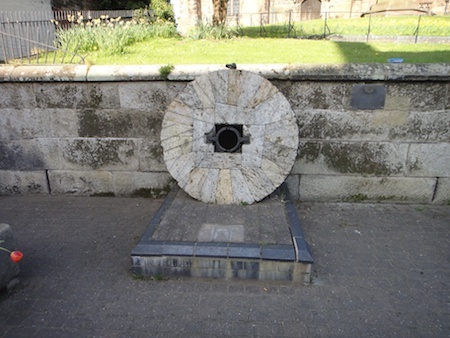 The first was a very tricky find and took me ages. Eventually I managed to spot it from the wrong side of a fence and really liked the sneaky container. The other cache was right in the middle of Whitchurch and not far from an Iceland store my step-brother used to be Manager at ages ago. 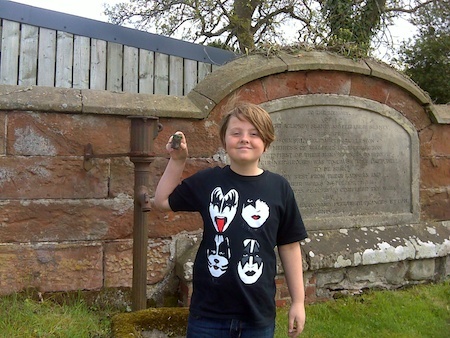 On the way home, I diverted off into Cheshire to find a cache that had come out in Audlem (Cheshire’s most southerly village) a few weeks ago and was cluttering up my closest to home not found list. A nice quick find here, after dodging lots of muggles. Later on in the evening, I was catching up with work when another cache just a few miles from home came out. A quick check with Allun from the Shropshire Seekers on MSN had me picking him up 5 minutes later. We were soon at GZ and quickly found the cache. I bet the views from GZ over towards The Wrekin are great from here in the daytime too :-). That’s 2 FTF’s and 2 Joint FTF’s. Not bad for two unexpected caching trips! 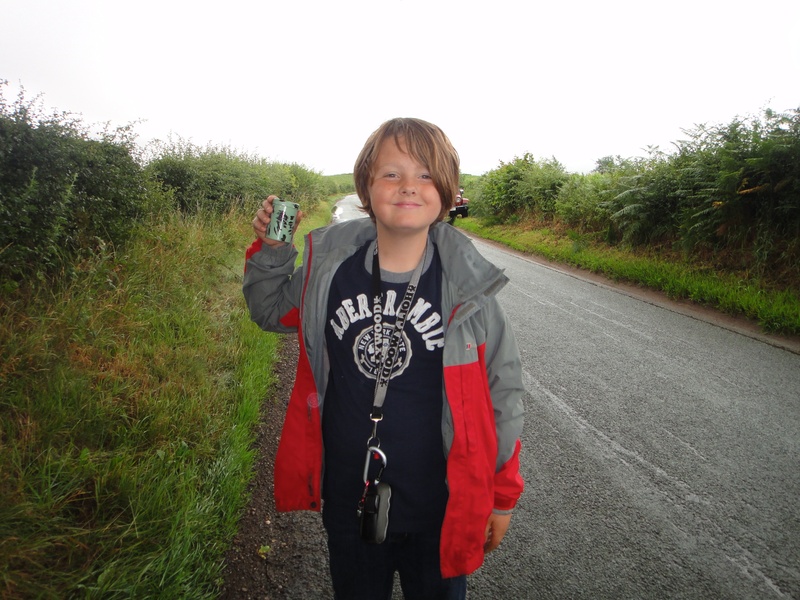 While we were stuck in Florida last week we’d seen a new set of 18 caches come out in Beckbury, not far from the caches we’d enjoyed in Badger a few weeks ago. I could not resist heading for these on Saturday as it’s a beautiful area for walking. I dropped Isaac off at school and headed off to Beckbury. The caches are spread out all over the area and not on an obvious walk so I decided to park up right in the middle of them and see how I got on. Just as I was getting my gear ready a guy came down the road holding a GPSr. It was andycpuk – great to meet you :-). Andy had nearly finished the series and only had 3 caches left to find. I decided to head off with him for these three caches and then carry on from there. A plan which worked really well! After I’d said my goodbye’s to Andy at the third cache I carried on, opting to make a loop out of the first set of caches and return to the Jeep to re-position it for some more of the series down the road. 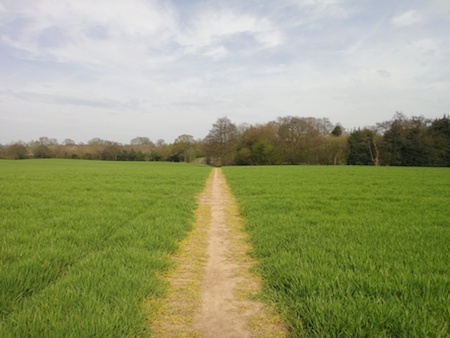 The walk was absolutely beautiful with a bit of terrain, some woods, some open fields, a stream or two and LOTS of wildlife to see. My kind of caching in a nutshell :-). The only thing really of note was on a cache by the River Worfe. I had just started to sign the log when a guy came out of a nearby garage and shouted over “what are you doing there”. Ooops – I’d been well and truly muggled! I explained about caching to him and said he might see a few more people over the next few days as it was a new series. He seemed ok with this thankfully. At the last cache in the series I spotted some other cachers had found it today so texted them to see where they were up to. We arranged to meet by the road in Badger as I was driving through on my way to Bridgnorth. Great to meet you all – [monki], unowho67, Lime Candy and Blue Nora! We had a quick chat before continuing on our respective ways. The next two caches were replacements for an old multi that used the same walk and was one I’d got a FTF on when it initially came out. Needless to say the walk was every bit as lovely as I remembered it and the caches were great too. 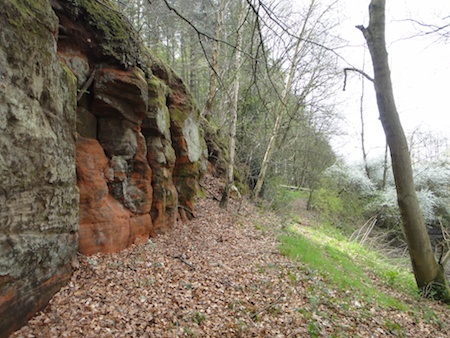 Next on the list is a cache hidden down a Byway Open To All Traffic just south of Bridgnorth. The cache page says to say in your log whether you did the cache on foot or in a 4×4. I’d met the cache owner at a recent event and promised him I’d do it in the Jeep as every finder so far had walked it. 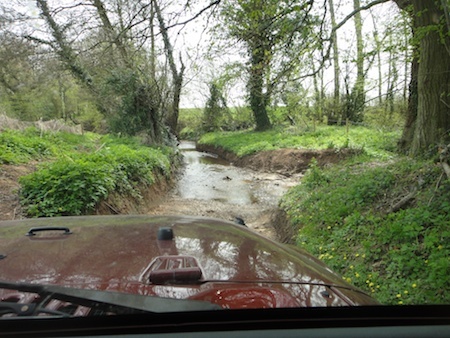 I parked the Jeep on the narrow Byway by GZ and had just got out to look for the cache when two other Jeep Wrangler’s came down the lane. I spoke to the first driver and asked if he was ok waiting a moment while I found the cache. No problem he said, but with pressure to find it quickly I just could not spot the cache and gave up the hunt. I thus carried on down the Byway, round the block and back again down the Byway, hoping it would be quieter this time. 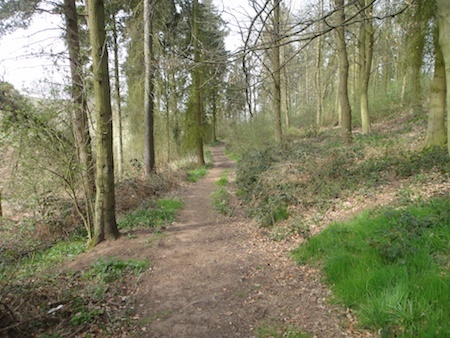 It was and I soon spotted the cache – in a place I’d not looked earlier – doh! I then ticked off a nice micro in some lovely countryside, followed by a wander round Low Town at Bridgnorth doing a multi cache we’ve been meaning to do ever since it came out. A fab location for the final cache here too! There was still a bit of time left so I decided to head off nearer to home and try and find some of the newer caches in the area. On the way I stopped at ASDA in Donnington for an awful cache which I soon gave up on as there was litter everywhere and it was just plain horrible to look for. The rest of the caches were easy enough, with some more nice countryside walks and great scenery / views. 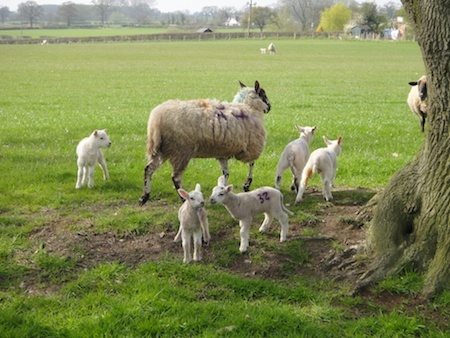 I even had the pleasure of walking along the side of a field full of newly born lambs and their protective mothers :-). Later on in the evening, 3 new caches came out in Gnosall so off I headed to find them. I had not dashed out so was not surprised to miss the FTF. I bumped into Allun from the Shropshire Seekers at the second one and stopped for a good while catching up with each other. Last cache of the day was near Bishops Wood and handily placed as I was due to pick the children up from a party at the Village Hall there. 30 caches in total, which I was really pleased about as I’d not intended to go out and find that many today. Another evening and another FTF dash with the Shropshire Seekers. 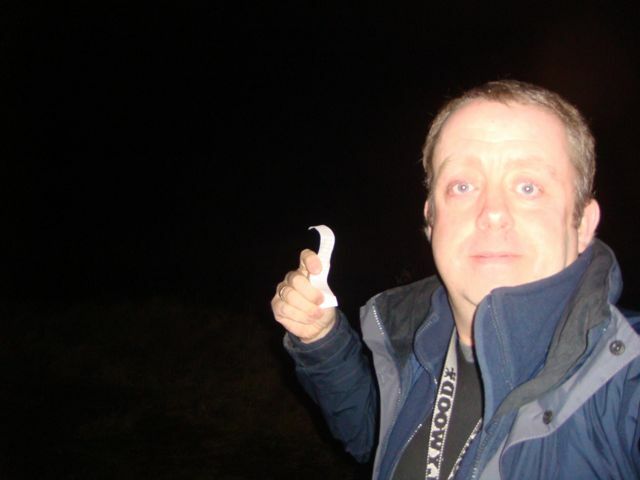 There seems to be quite a few new caches coming out at about 7:30pm ish at the moment and I for one are really enjoying both seeing new caches coming out in the area and also a good opportunity for some nighttime caching. I’d missed the usual notification email for the new one this evening – in fact it’s still not arrived two days later! I think Goundspeak need to feed the mail server hamsters more ;-). Luckily Allun noticed the new cache so popped up on MSN to see if I fancied the FTF dash. Daft question ;-). He was soon round at out house and we set off in the Jeep. 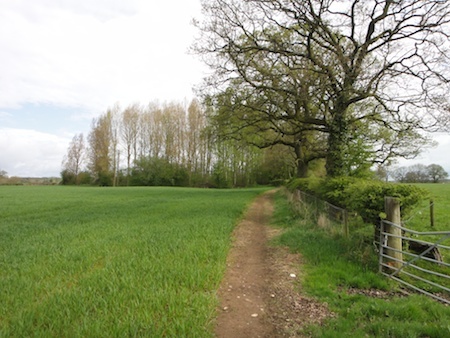 The cache is by the old airfield at Seighford near Stafford. The airfield is a busy gliding club at the weekends with another part of it used for a ‘Fast Car Experience’, where you can zoom round the track in Ferrari’s, Lambo’s etc etc. Must try that sometime :-). Anyway, we were soon at GZ and the co-ords were good so we had a really quick find of the sneakily hidden cache. Not only am I enjoying the new caches in the area, but also some really nice hides too. Long may it continue. I was back home with Mrs Bolas Heathens in just less that an hour.